Have you heard that éclairs are the new macarons? The classic dainty French pastry, described by the Larousse Gastronomique as a “small elongated pastry made with choux pastry, filled with cream, and glazed with fondant,” has taken the pastry world by storm this year. 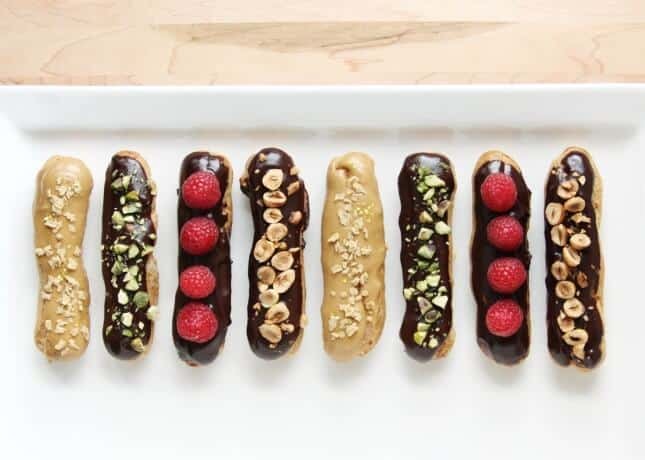 For most of its 160 years of existence, the éclair was a pastry shop staple, most often offered in classic flavors like chocolate, caramel, and coffee. 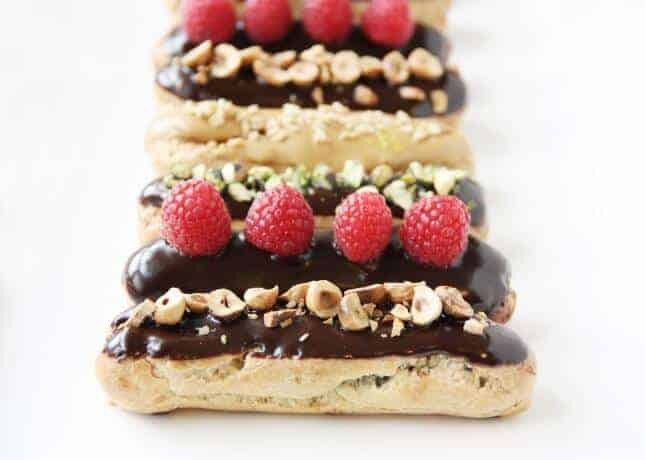 Most French people grew up eating it as a special treat, but until recently it was rare to hear someone coming back from Paris saying, “I’ve had the most amazing éclair!” More colorful counterparts, such as macarons, were making lasting impressions instead. So what allowed such a triumphant comeback? Many credit the feat to French chef Christophe Adam, who worked for 15 years at Fauchon, the first place I discovered that the éclair could be so much more than its classic alter ego. Every year in September, Fauchon has an “Éclair Week” at the Place de la Madeleine location, and I had the delightful luck to be there in 2009. 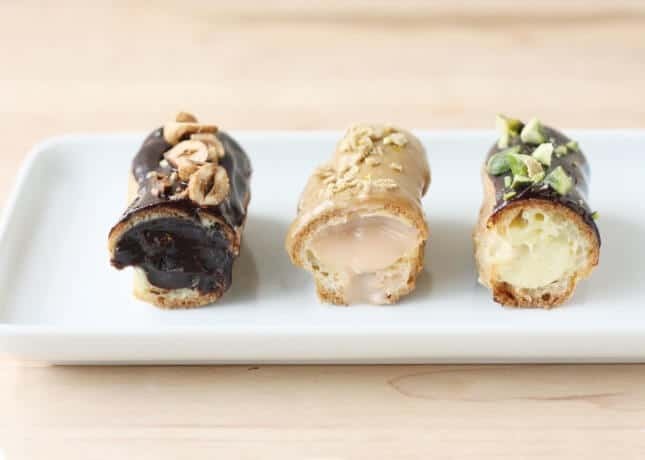 I saw and tasted creations that looked like art pieces and were filled with sweet and savory flavor combinations I never imagined could be associated with the traditional éclair. A selection of Fauchon’s “couture” éclairs. 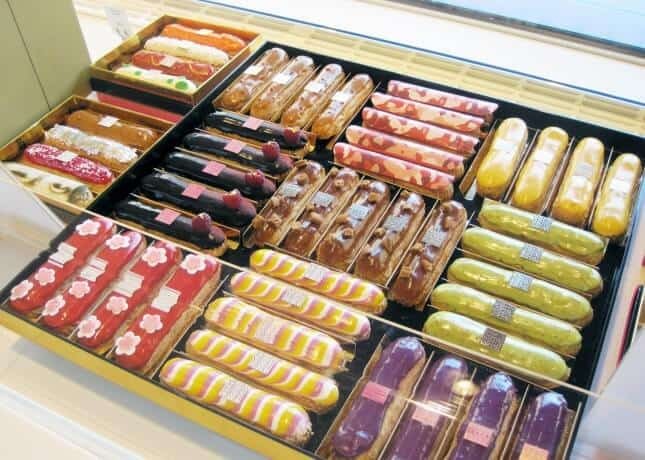 In 2009, the collection featured three dozen sweet and a dozen savory éclairs. One had my name written all over it: filled with a zesty lime cream, it was topped with tempered white chocolate printed with my favorite Japanese woodblock print, The Great Wave, by Hokusai. I mean, who would think of filling an éclair with chicken Chantilly and topping it with green peas and diced carrots? Christophe Adam, that’s who. After leaving Fauchon, he went on to open a shop that takes the éclair out of its usual supporting role and puts it front and center. 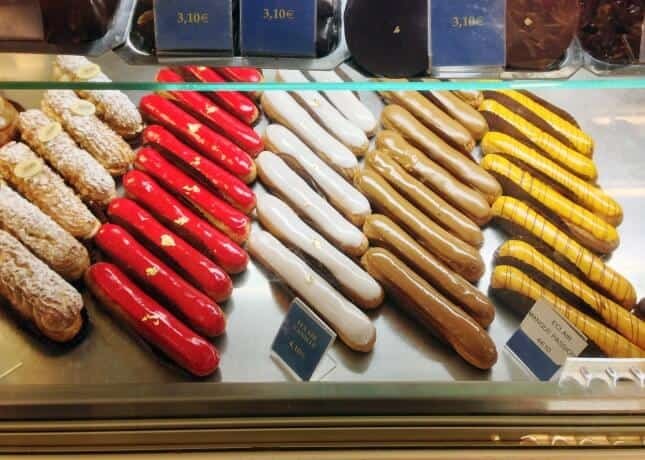 At L’Éclair de Génie (“Stroke of genius”), dozens of colorful sweet and savory éclairs line up in glass cases that make them look like jewels. 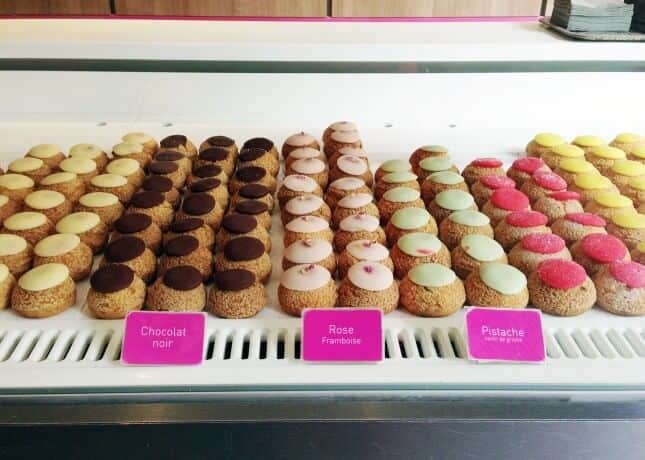 These gutsy and creative offerings quickly pushed the shop to the top of food lovers’ bucket lists and paved the way for other specialty pastry shops in Paris and abroad. On my last visit to Paris this summer, I discovered Popelini, a shop that sells exclusively choux (cream puffs). 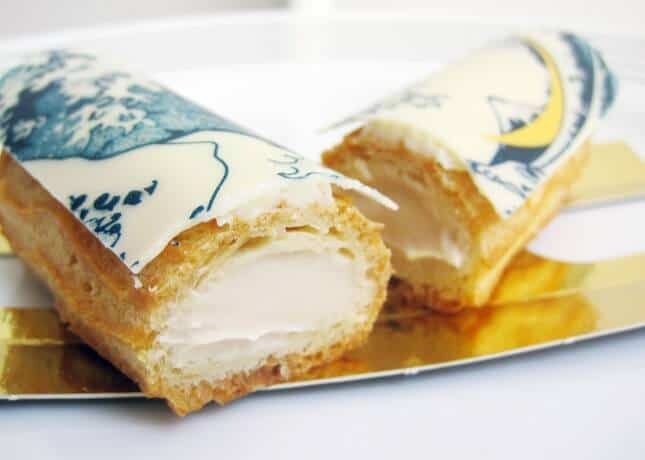 Though the new, creative éclairs crafted by more and more pastry chefs around the world are indeed amazingly delicious, I have to admit a few classics still hold my gourmande heart. At the very top of my list is Stohrer’s chocolate éclair. The city’s oldest pastry shop, Pâtisserie Stohrer, has been sitting on Paris’ rue Montorgueuil since 1730. Nicolas Stohrer, the original owner and a pastry chef to royalty, is said to have invented the rum baba. More recently in 2011, the pastry shop’s chocolate éclairs were declared “The Best of Paris” by Figaro Magazine. 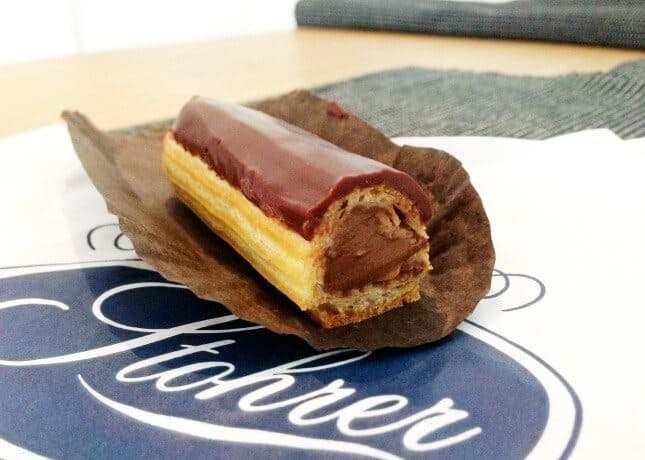 Slender, filled with a dark chocolate cream, and presenting the perfect filling/pastry ratio, Stohrer’s chocolate éclair is one of the first treats I indulge in when I go to Paris, and it has become the standard I want to achieve at home. 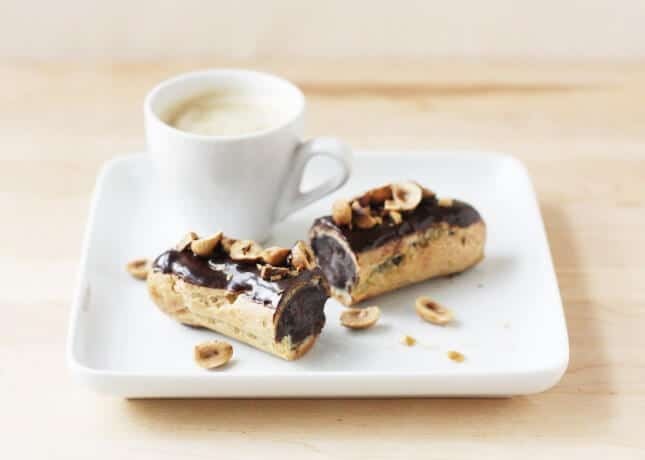 While making éclairs at home is sure to elicit impressed wows from your guests, you can rest assured: they’re surprisingly easy to make. If you carefully follow the instructions to make the choux paste, it’s a sure thing the éclairs will puff up beautifully in the oven, creating a hollow interior to be filled with pastry cream. After making them many times, I find that the most time-consuming process is filling up, glazing and decorating the éclairs. Piping the pastry cream into the éclairs without making a mess takes practice, but you can do as many chefs do and simply slice open the éclairs to pipe the cream inside more quickly. 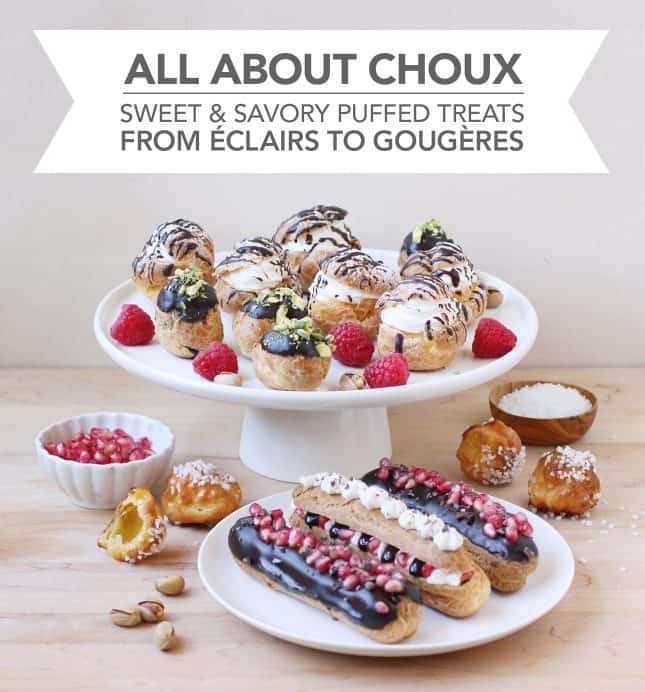 Mastering how to make éclairs adds many strings to your bow: instead of piping the dough into logs, you can make mounds of it and get cute, airy choux, which you can turn into profiteroles, which you can then turn into a croquembouche, if you’re feeling really ambitious. Or you can add cheese to the dough, skip the filling, and make addictive savory gougères, which are the most festive bites I can think of. Always make the pastry cream first, preferably a day in advance, because it needs to cool down completely before you fill up the pastry shells. Pastry shells can be baked in advance. Cool them down completely and store them in storage bags or containers, being very careful not to squash or flatten them out. They will keep for a couple of days, or you can freeze them for up to a month. Éclairs are best eaten the day they are filled, but they keep for a day or two just fine. 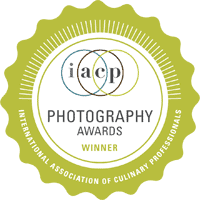 This of course also applies to choux. When it comes to flavors and toppings, be creative! 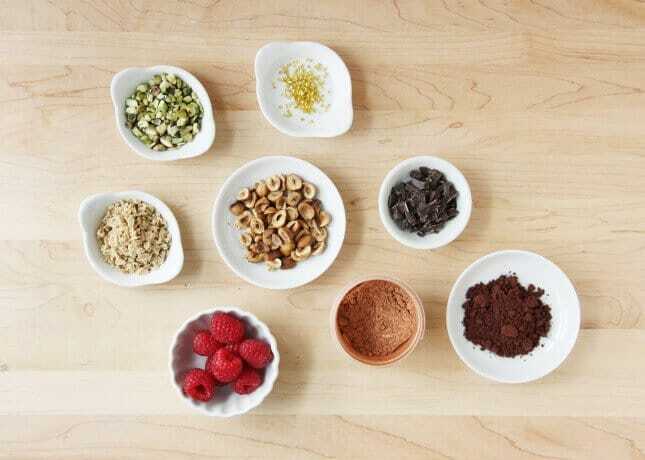 The pastry cream can be flavored so many different ways: white, milk, or dark chocolate, maple, vanilla, coffee, caramel, pistachio, raspberry… I can think of a hundred variations. Same goes with toppings: classic éclairsare only glazed, but why not jazz them up a bit with fresh fruits, nuts, or edible glitter? They will look even more appealing and festive. 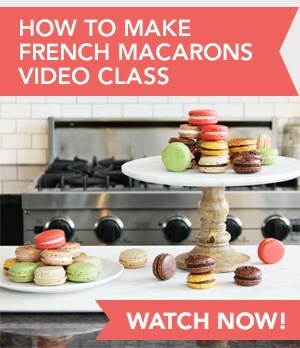 Watch the whole class now! The eBook comes in PDF format. It’s an instant download, you get access to it as soon as you check out on PayPal. 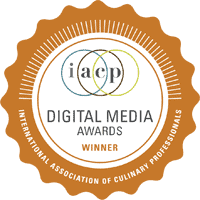 Buying the eBook will help me continue creating and producing quality content for Food Nouveau. Thanks for your contribution! Makes about 2 cups [500 ml]. 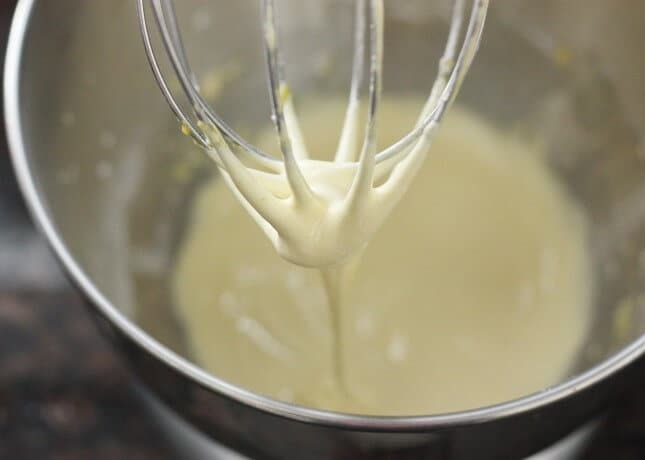 In the bowl of an electric mixer, beat together the sugar, flour, cornstarch, and egg yolks until thick and pale yellow, about two minutes. In the meantime, prepare the milk mixture: combine milk, sugar, and cocoa powder in a medium saucepan and bring to a simmer. When the mixture simmers, remove it from the heat, and ladle about one cup into a measuring cup. 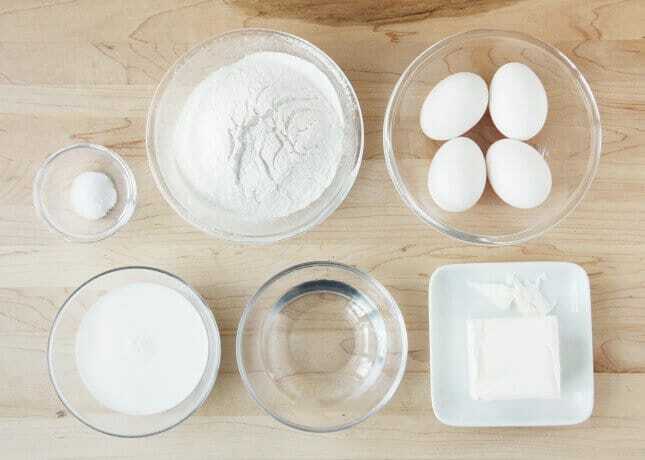 Gradually pour the hot milk mixture into the egg mixture, mixing on low speed or stirring to combine. This will temper the egg mixture, ensuring it won’t curdle when you pour it back into the saucepan. Scrape the tempered egg mixture into the saucepan, whisking constantly. Put the saucepan back on medium-low heat and cook, never stopping whisking and scraping the bottom and corners of the pan to prevent the mixture from sticking or scorching. 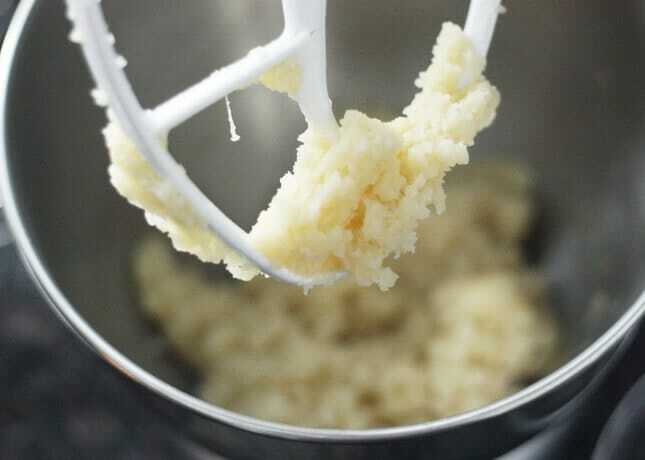 Keep on whisking until the mixture thickens and begins to bubble. Pay close attention because the thickening tends to happen quite quickly. Lift your attention for a moment and your pastry cream could curdle or burn. You may feel thickening suddenly happening in one corner of the pan. 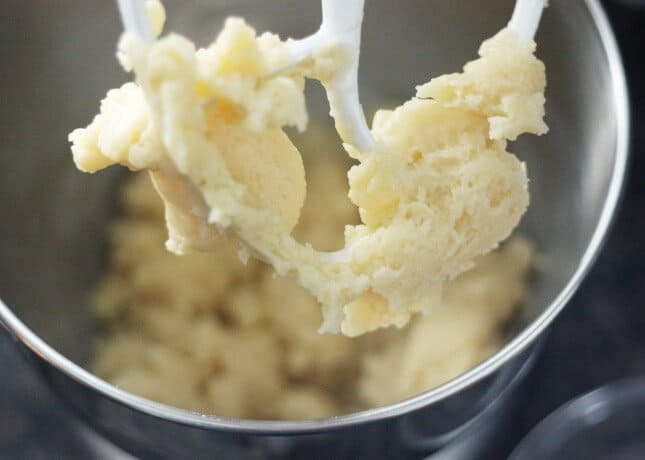 Once you do, in order to keep better control over the process, lift the pan from the heat and whisk vigorously (off the heat) to allow the cream to cook evenly. Put it back on the heat and keep on cooking, whisking constantly, until the custard is thick like pudding. Add the chopped chocolate and butter to the pan and whisk to melt and incorporate until completely smooth. Pour the custard into a bowl and push a piece of plastic wrap or parchment paper right onto the surface to prevent a skin from forming. 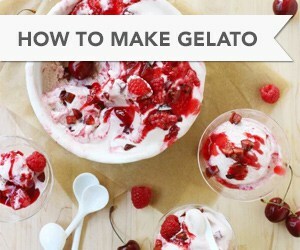 Refrigerate to cool the cream completely. Makes about 16 large éclairs. Position a rack in the lower third of the oven. Preheat the oven to 400°F [200°C]. Measure the flour and set it close to the stovetop. In a large saucepan, combine the water, milk, butter, and salt. Bring to a boil over medium heat. 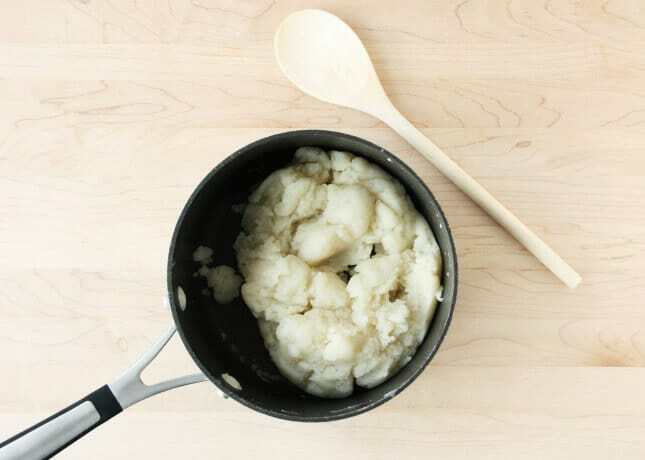 When the mixture is boiling, add the flour all at once and stir vigorously with a wooden spoon until the mixture pulls away from the sides of the pan. Continue to cook and stir the mixture for about 1 minute, in order to eliminate excess moisture. Depending on whether you used an aluminum or a nonstick pan, a thin layer of dough may stick to the bottom of the pan, but it’s no worry. Take off the heat. At this point, the dough mostly comes together and rolls away from the sides of the pan when stirred. Transfer to the bowl of an electric mixer and let cool for 5 minutes, stirring occasionally to allow the steam to come out. But it will then come back together in a really sticky, yet somewhat crumbly way. The dough will keep on getting smoother as you add more eggs. 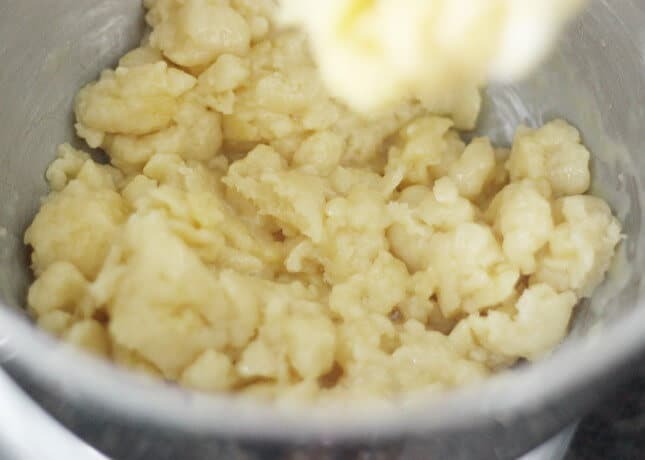 The choux paste can be covered and refrigerated for up to a half-day; when it is cold, you do not need to bring it back to room temperature before shaping. 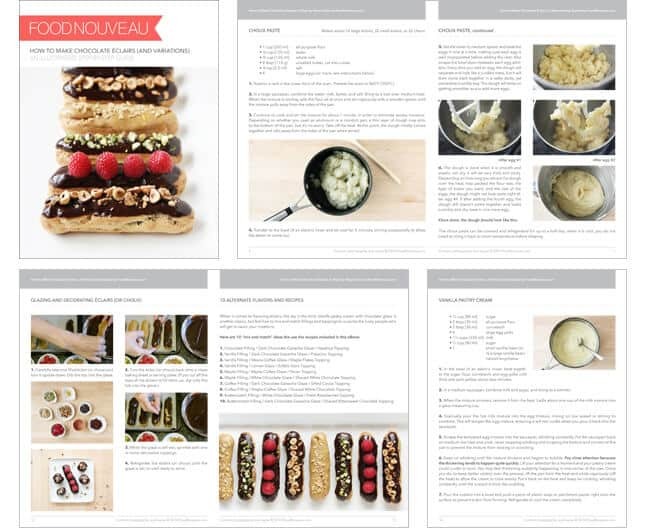 TIP: My “How to MakeChocolate Éclairs” eBook contains three printable templates to help you shape perfect large and small éclairs, as well as choux (pastry puffs). Get it for only $0.99 USD for a limited time! Click here for more details about the eBook, or click here to buy it (it’s a handy instand download!). Line large baking sheets with parchment paper. If using, slide the éclair templates under the parchment paper for guidance. Use masking or painter’s tape to secure one side of the parchment paper to the baking sheet so it doesn’t move when you pipe the dough. Fit a large pastry bag with a ½-inch [1.25-cm] size 6 smooth or star-shaped pastry tip. Fold the top 3 inches [7.5 cm] of the pastry bag down over itself like a cuff. Using a rubber spatula, scoop and push the choux paste into the bag, filling it no more than two-thirds full. Unfold the cuff and squeeze the bag to push the choux paste toward the tip. Twist the top part of the bag. Push the paste further down into the tip. Hold the bag with the tip at a 45-degree angle. With the tip of the bag touching the sheet, squeeze gently and evenly with one hand, while guiding the tip of the bag with the other. Use gently pressure to form a shape no wider than the width of the tip (and create slender éclairs); use greater pressure and move the bag slower for thicker shapes. Pipe out 5-inch-long [12.5-cm] logs for large éclairs. To stop piping, release pressure from the bag, then push the tip down and quickly jerk it upward to the end the shape without a tail. Pipe all logs, spaced 2-inches apart to allow for expansion. 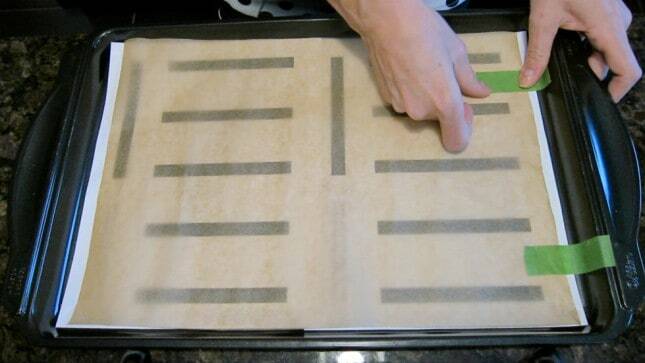 Remove the masking or painter’s tape, then slide the templates off the baking sheets (if using). After piping all logs, eliminate tails by dipping a finger in cold water and gently smoothing any peaks sticking out. Bake éclairs for 15 minutes in a 400°F [200°C] oven. 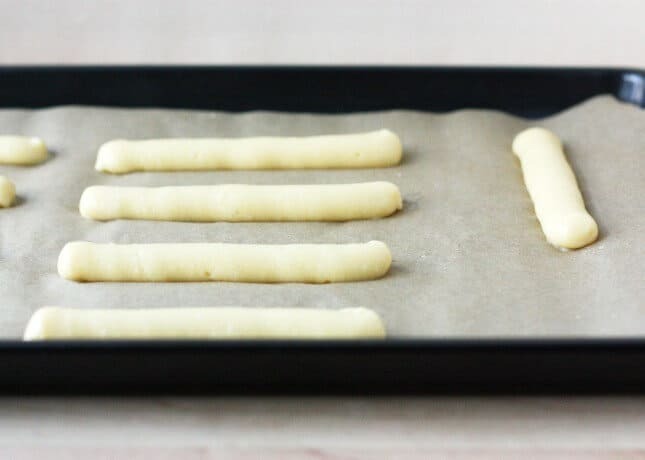 Reduce the oven temperature to 350°F [175°C], and bake until golden brown and very firm to the touch, about 10 minutes more for small éclairs, or 20 minutes more for large éclairs. 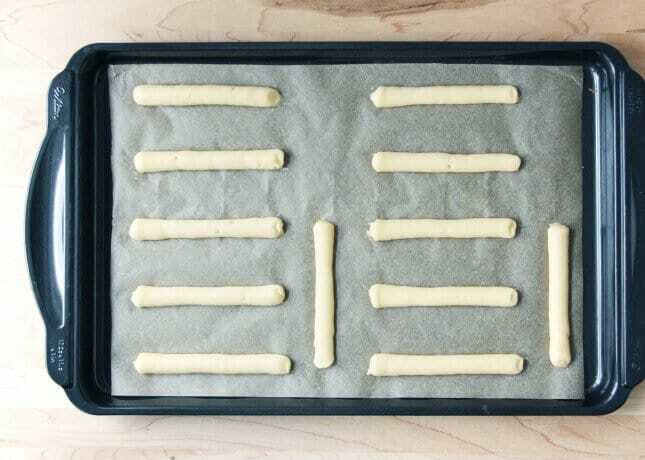 Take the baking sheet out of the oven and immediately remove the éclairs to a rack to let cool completely. 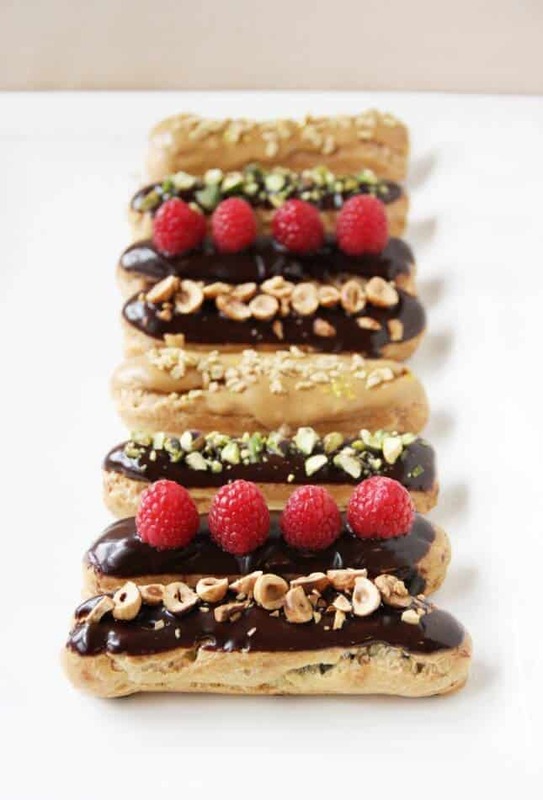 Use a pointy knife or a skewer to poke a hole under each éclair so they dry out completely. Fill a large pastry bag with a ¼-inch [0.6-cm] tip (size 2). Poke the pastry tip into the drying hole in each éclair and pipe full. If necessary, poke additional holes toward the tips to make sure the éclairs are completely full. Alternatively, cut off the top third of the éclairs horizontally with a serrated knife to create lids. Remove any uncooked dough from inside the shells and spoon or pipe the filling into the éclairs. In a small saucepan, bring the cream to a boil. Remove from the heat and add the chopped chocolate. 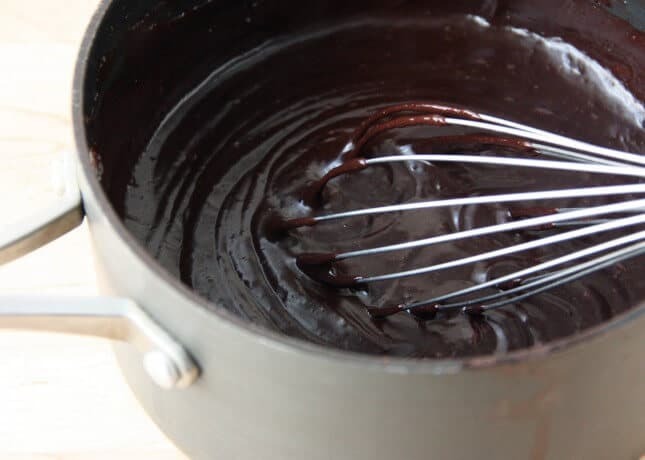 Whisk until most of the chocolate is melted. Cover and let stand for 10 minutes. 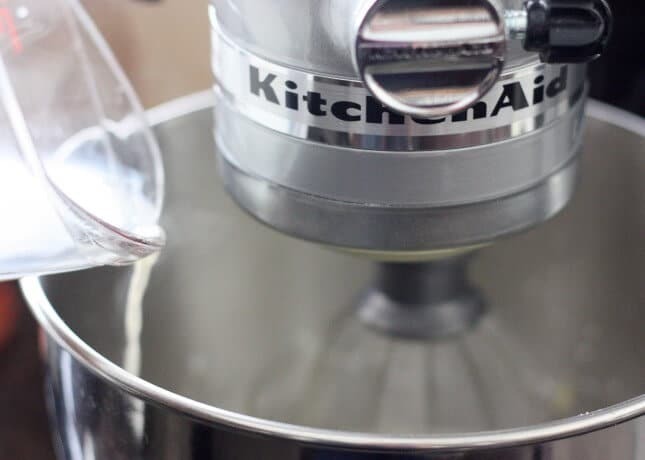 Whisk gently until completely smooth. Add the liqueur (if using). Pour the glaze into a shallow bowl. Refrigerate the éclairs until the glaze is set, or until ready to serve. 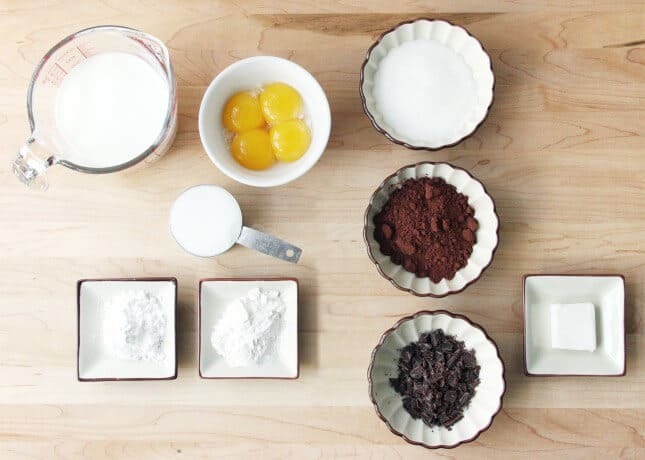 Recipe sources: The ingredients for Chocolate Pastry Cream were adapted from The Joy of Cooking. 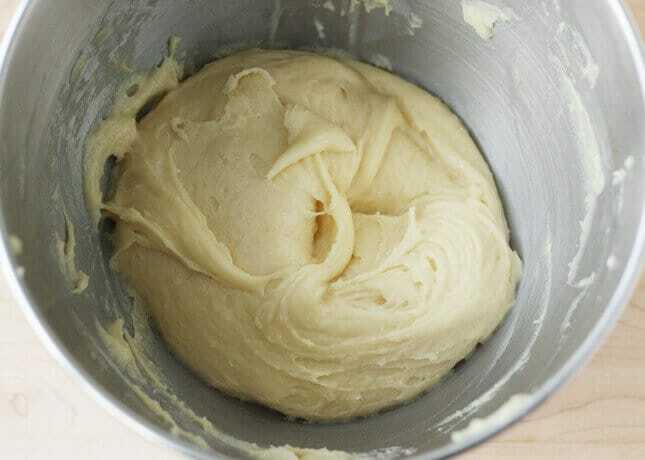 The ingredients for Choux Paste and parts of the method were based on the recipe in The Joy of Cooking. 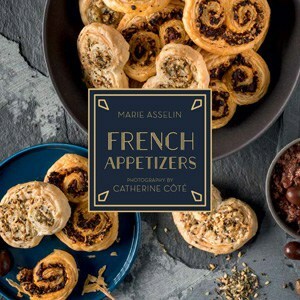 Methods, additional contents and recipes by Marie Asselin. 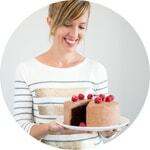 Note: I have not tested all of the following recipes, but they come from sources I trust and know produce quality recipes.